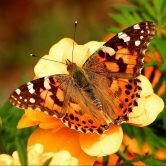 Nothing says spring like butterflies! Thinking of butterflies conjures images of warm weather, sunny days and flowers in bloom. That’s why Easter weekend is a pretty popular time to come visit the Conservatory: what better place to celebrate the advent of spring than where it’s spring year-round and there’s 100’s of butterflies! 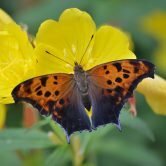 What do butterflies eat if there are no flowers in bloom? Turns out these critters can be quite creative. Many species will feast on freshly-running sap leaking from trees; water that collects on leaves or mud; some species of trees bloom really early like willow that offer up some of the first nectar sources; and they’ll even feed on fresh animal dung! Soon we’ll begin to see butterflies flying outside our homes as well. When it finally warms up to ~ 10 C during the day, you can start keeping your eye out for some early flying butterflies. 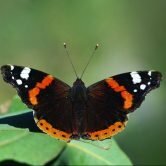 There are two types of early-season butterflies: ones that overwinter as adults and therefore can simply “wake up” when it’s warm enough to take to the wing – these are often referred to as “cold hardy” species. 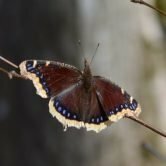 Then there are butterflies that don’t overwinter in Ontario at all, but instead migrate south to areas of the US where it stays mild year-round – these are the migratory species. Despite it’s dreary name, this is a demure lovely butterfly with a yellow hem to its wings. It’s a very hardy species, overwintering as an adult butterfly tucked away under bark or leaves. Thus, any warm day in late winter (even as early as March), it can take to the wing. This is one of our most common migratory butterflies, although it doesn’t take as long distance flights as the famous Monarch. 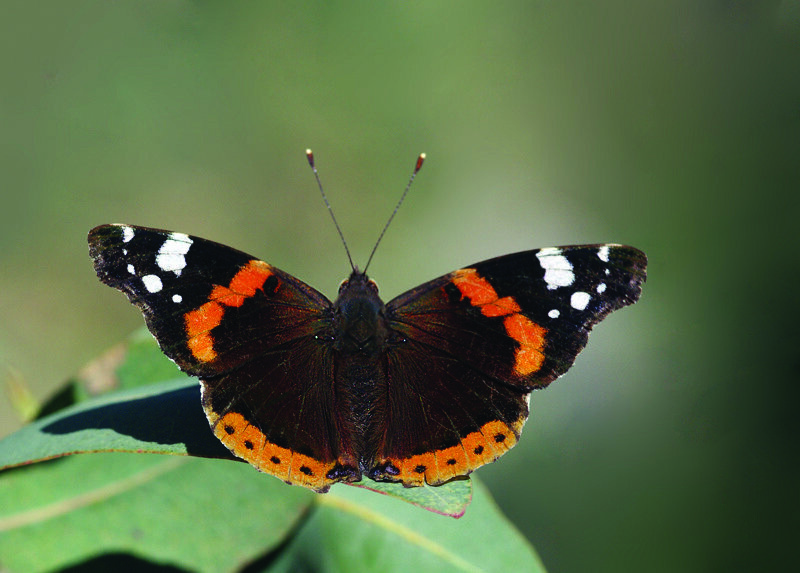 Red Admirals typically don’t overwinter in Ontario, so they fly south every fall to the mid/southern US. Every spring, they must fly north to re-colonize Ontario. If the winds are favourable from the south, they can start migrating by the thousands up into Canada in early spring. Another cold-hardy species, the Anglewings are very similar in appearance and both overwinter as adult butterflies. They can commonly be seen flitting from tree to tree, feasting on sap and liquid on trees. The outside of their wings displays stunning dead-leaf camouflage to help them hide during their winter-long slumber. These dainty butterflies are also thought to not overwinter in Ontario, but instead fly south to avoid the cold altogether. They typically wait a little later in spring until there are some flowers in bloom, so it might be awhile yet before we start seeing these.